Thousands Attended the Element 304 Americana Grand Opening and Demo in Boise. This past weekend, thousands of skateboarders, fans and community leaders gathered in Boise to celebrate the grand opening of Rhodes Skatepark and Element 304 Americana. 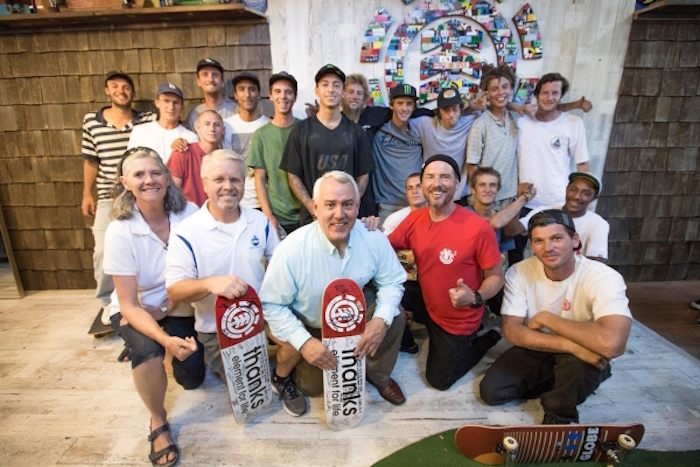 The Boise Skateboard Association welcomed Element to the city by bringing Johnny and Kori Schillereff’s vision of Element 304 Americana as a community center to life. Greyson Fletcher tapping into the new Rhodes Skatepark’s unlimited possibilities on the Idaho extension. This was the largest Element demo ever, and according to locals, it was the heaviest ever to go down in Boise. Element skaters in the demo included: Nyjah Huston, Brandon Westgate, Nick Garcia, Greyson Fletcher, Chad Tim Tim, Mason Silva, Mark Appleyard, Julian Davidson, Tom Schaar, Chris Colbourn, Dominick Walker and Jacopo Carozzi who were joined by the Blood Wizard team and more. Against the grain – Brandon Westgate backside flipped up the stairs during the Element team super demo that went on for more than an hour. The day kicked-off with Elemental Awareness giving back to locals in need, then flowed into Michael Kershnar’s collaborative mural for the community. The day concluded with a skate jam, demo and ended with a team signing. 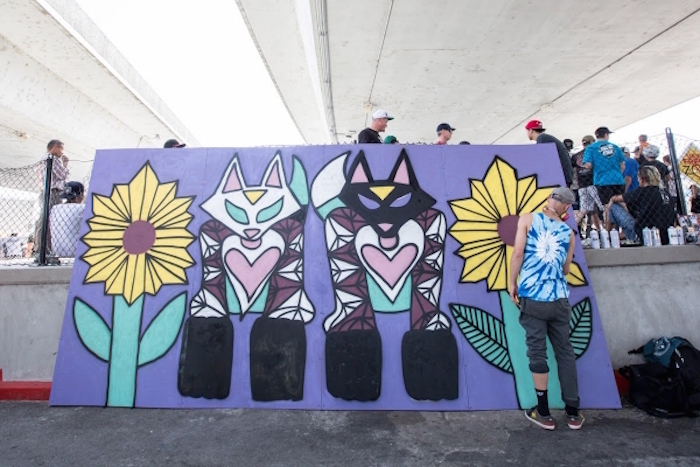 As Element Artist Michael Kershnar painted event goers and pro skateboarders joined him and left their mark on the collaborative mural. 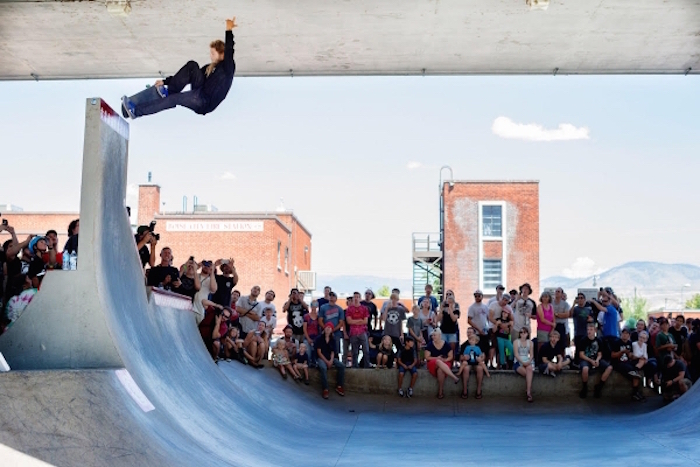 The thousands in attendance were welcomed into the new Element 304 Americana and they witnessed the recycled and reclaimed materials the local tradesman and skateboarders used to refurbish this historic building located adjacent to the skatepark. The new skate shop was open selling Element products, as well as shop boards from local skate shops Prestige and The Boardroom. A portion of the sales from opening day will be donated to the Boise Skateboard Association. Participate in the conversation around the grand opening with #elementboise hashtag. For the latest on Element, follow @elementbrand. About Element: Founded in 1992 by skateboarder and artist Johnny Schillereff, Element has grown from a skateboard company to a global brand spanning hard goods, apparel and accessories for men, women and boys represented by the best skateboarders in the world. Through the longstanding Advocate series, Element has developed a rich tradition of collaborating with top artistic talents including PUSH, Thomas Campbell, Jeremy Fish, Timber and photographer Brian Gaberman, among others. Today the company is sold in more than 60 countries and 5,000 points of sale in leading destinations across the US, Canada, Europe, Australia, Brazil and Japan. For more information please visit www.elementbrand.com.